A feasibility study is important because it answers the essential question; “What will my return on investment be by using a captive?” Prospective shareholders of the captive should have a clear understanding of what to expect when their capital is used to establish an insurance company. What is contained in a feasibility study? The study later becomes the business plan for the captive with actuarial support for the loss assumptions, a description of how reinsurance will function behind the captive and how much capital will be required to make the captive financially viable. What does a feasibility study cost and how long does it take? More involved studies typically involve a retainer, which is paid to the captive management firm or actuarial firm that will be responsible for spearheading the work. Depending on the scope of the project a study can range from $10,000-$100,000. Once a client information request is fulfilled it typically takes 4-8 weeks to complete a feasibility study for a single parent captive. If there are multiple companies or investors involved additional time may be required to collect data or for all parties to provide input, review drafts and make appropriate modifications. What are the common mistakes companies make in evaluating a captive? Having a feasibility study completed and forming a captive should not be overly time consuming or especially challenging from the business owner’s perspective. If complete data is provided by the client and put in the hands of the right service providers the process can be a smooth and seamless one. Despite this fact, many companies that would benefit from a captive and welcome the opportunity establish one miss out on the opportunity. Mistake #1: Waiting until renewal time. It makes sense that a business owner would want to evaluate the cost of a captive in the context of what the renewal premiums will be in the traditional market. Unfortunately, a businesses’ renewal period is the four weeks before the policy’s expiration date and is typically nothing more than a pricing exercise where one or more brokers attempt to negotiate the lowest premium. As you can see from the information above, a great deal more goes into the design of a captive and the actual premium paid to captive is only one consideration. Mistake #2: Waiting until the end of the year. Many employers view the set-up of a captive as a great way to create additional expense items for the parent company, thereby reducing the amount of taxable income for the year. For example, many trucking companies have sinking funds to cover collision on their fleet of trucks. By establishing a captive and formalizing the collision coverage as an insurance contract the parent company can obtain a deduction for the premiums paid. Depending on the facts and circumstances of each company’s situation, this may or may not work. Finding out becomes a challenge when the prospective captive owner waits until December or the month before the end of their fiscal year end to initiate the discussion. The rapid pace at which information must be provided and decisions need to be made often leads to everyone feeling rushed. Mistake #3: Failing to clarify objectives and project scope. This often happens when the client engages a provider that specializes in a single discipline. A comprehensive feasibility study should have a thorough evaluation of domiciles, tax issues, actuarial analysis, fronting and reinsurance. Steps should be taken to ensure that the report will cover all of these issues. Clients should determine that the person or group they are hiring to do the study have the necessary resources to structure all of the components. If this is not clarified up front it is possible that the client will end up with a report that has thorough examination of premiums and rating programs, but little or no discussion on the most suitable domicile. Alternatively, the analysis may be content rich in how best to comply with IRS guidelines for tax treatment, but not address reinsurance pricing or available fronting carriers. 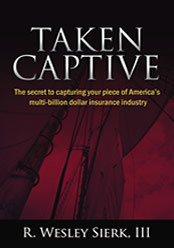 For more information on captive’s and feasibility studies you can contact our office or go to www.takencaptive.com. December 17, 2008 What kind of regulation does a Captive have? December 08, 2008 What types of Captives are there? October 30, 2008 Why form a Captive? October 28, 2008 What is a Captive? July 02, 2008 A Captive for my Company Health Insurance? June 23, 2008 Can I use a Captive for Workers Compensation?